During the past 20 years, Goodyear has developed programs to reuse whole scrap tires. The initial concepts of using scrap tires in floating breakwaters, tire reefs, crash barriers and playground equipment were developed by the company’s Machine Design Department. Although these types of projects reuse scrap tires, their markets are not growing significantly. However Goodyear’s pioneering work in the use of scrap tires as an energy source have help to create successful growing markets. 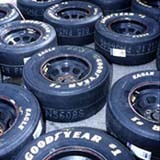 In the 1970s, Goodyear used whole scrap tires as fuel in several projects. The company fueled boilers using 100 percent tires at its Jackson, Michigan and Wolverhampton, England plants, with limited success. Also in the 70s, Goodyear used whole scrap tires with pulverized coal to feed a slagging boiler to generate electricity at its Akron, Ohio, headquarters. The successful technology is being shared with interested utility companies. In 1975, the company invested $3 million in a joint venture – The TOSCO Project – to develop a pyrolysis facility in Colorado. Technically successful, it was not economical. The gas generated in the process was needed to fuel it. The resulting low-grade oil was marketable only as a crude oil blending material, while the carbon black/char, containing 20 percent ash, was not acceptable for tire production. 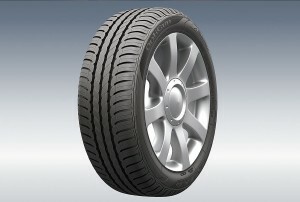 Although some pyrolysis advances have been made, no viable unit has been built that produces tire-quality carbon black. Goodyear furnished tires for a successful 1992 Tennessee Valley Authority test at Memphis, Tenn. The electricity generating facility used TDF to supplement coal in cyclone boilers. Waste Recovery Inc. was one of the first scrap tire shredders in the industry. Goodyear has worked with WRI since 1986 and holds a minority interest in the company. WRI shreds tires into 2″ x 2″ TDF and in the process, removes over 96 percent of the wire. In 1991, Goodyear began working with Indiana-based Cadence Environmental Energy which markets a whole-tire feed system to supplement fuel for cement kilns. Goodyear is acting now to enable its scrap tires to be handled in an environmentally sound way at the lowest cost to customer. Energy is the largest, fastest growing market for scrap tires. Using scrap tires for fuel is a win/win situation. Overall, the solid waste and air emissions are reduced, natural resources are conserved and energy independence is enhanced. In most cases, it is the most cost effective solution. The goal to eliminate stockpiles can be achieved in the very near future. There are many other uses for scrap tires that exist today and will evolve in the future. Each should be explored. Succeeding Goodyear hydraGrip the optigrip solves the problem of the deterioration of the tire grip on wet surfaces due to wear. As and when this wear, a new compound and new channels are emerging, which maintains a nearly constant level of wet grip and aquaplaning resistance throughout the duration tire life. The optigrip change dramatically in appearance throughout its wear through tunnels grooves that expand when the thickness of rubber decreases, so that the total area of grooves remains almost constant, which is lost in depth sculpture to be earned in width. Cargo G26 is a new benchmark in this group due to its innovative design and its performance. 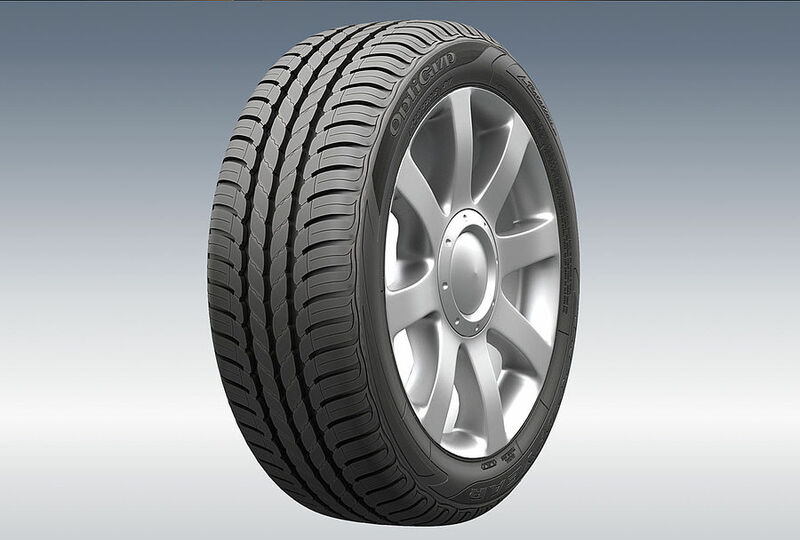 To make it quieter and give it better traction, the tire Goodyear has a lamellar structure which extends diagonally and also from the center. 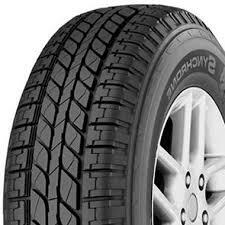 This Goodyear also offers good resistance to aquaplaning and helps improve vehicle handling. It is capable of traveling more miles than most of its competitors and has excellent handling. Goodyear has always been a company that is aware of its consumer’s needs and finds solutions to make life a little easier. Now Goodyear offers the Goodyear Card to make the buying process even easier. 90 days same as cash for purchases over $200.00. 6 months same as cash for Run-Flat purchases. Over 3,900 Goodyear retailers to choose from. While Goodyear goes racing for a number of reasons, two of the most obvious reasons are to advance tire technology and provide exposure for the company through marketing and advertising opportunities. Tire technology proven at the track is readily transferred to improving consumer tire performance. Marketing opportunities capitalize on continually increasing audience sizes, both at the track and watching the race on television, and link Goodyear tires to racing, high performance and technology. Racing helps us develop new technology primarily in three areas of tire design: mold shapes, tire construction and tire materials. Much of that information applies directly to our high-performance Eagle street tires because the basic construction of a race tire is similar to a consumer auto tire. Subtle improvements we make in tire performance on the track transfer readily to high-performance auto tires. Consumer tires aren’t the only products that benefit from our racing technology, however. Stock cars can exert 5,000 lbs. of weight on the right front tire through the 31-degree banks of Daytona International Speedway. These forces are similar to conditions that airplane and truck tires experience. This environment allows us to evaluate tire material durability and heat resistance and helps us learn about oils, carbon black and other components of commercial tires. All our tire lines and our customers benefit in one way or another from the technology we gain from racing. 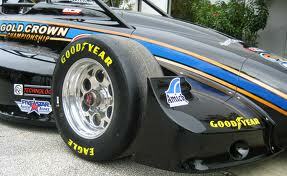 The Goodyear name is highly visible to consumers at the racetrack. Goodyear Racing Eagles sport yellow letters and the Goodyear name is clearly visible on race cars, driver uniforms and at tracks worldwide. It’s almost impossible to watch a motorsports event and not see some form of Goodyear identification. As a recognized leader in racing, this invaluable exposure lends credibility and value to our Eagle line. Today, motorsports is the fastest growing spectator sport in the United States. Goodyear will continue to be a leading race tire supplier to the industry and consumers will continue to benefit from the advanced technology that makes the leap from track to street. Goodyear racing tires are designed and compounded solely for racing purposes and are not tested or labeled to meet FMVSS109/ECE36 safety standards. It is therefore not only dangerous but also illegal to use race tires on public streets or highways. For complete mounting information, contact your nearest Goodyear Racing Tire Distributor or see him at the track. NEVER attempt to install and inflate a tire of one diameter on a rim or wheel of a different diameter. All Goodyear Racing Tires are designed to be used on wheels or rims that are manufactured to Tire and Rim Association (T&RA) specifications and tolerances. Use of Goodyear Racing Tires on damaged or improper rims can cause the assembly to explode with force sufficient to cause serious injury or death. NEVER attempt to chemically treat or alter the tire carcass and/or tread compound of any Goodyear Racing Tire; such as tire « soaking » or use of tread « softener ». This practice could result in premature or catastrophic tire failure resulting in serious injury or death. Use sufficient pressure so the tire does not roll under or distort during cornering, then adjust to your personal handling preference. Consult your Goodyear Racing Tire Distributor for specific recommendations for your local tracks. Grip on wet or dry ground. 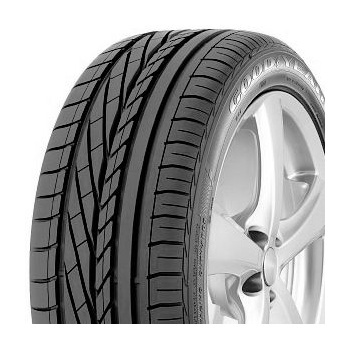 Handling with even wear due to the pressure distribution over the entire surface of the tire. Low noise and vibration due to variable not double sequence. © 2019 Pneus GoodYear. All Rights Reserved.